I just sold my laptop and I need a new one. I really like the new Dell XPS line. But I can’t decide if I want the bigger 15-inch or the smaller 13-inch laptop. 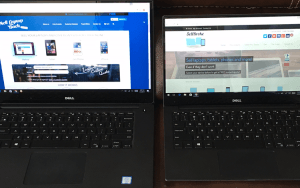 I’m lucky enough to have some time to test both Dell XPS laptops back to back. 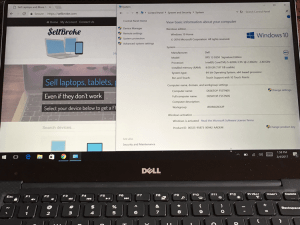 First computer is a Dell XPS 15 9550 with Intel Core i7-6700HQ CPU @ 2.60GHz, 16GB RAM and 512GB Samsung SSD. And I will compare it with it’s smaller brother Dell XPS 13 9335 with Intel Core i5-6200U CPU @2.30GHz, 8GB RAM and 256GB Samsung SSD. The smaller Dell is significantly cheaper, so by no means I’m trying to say that both laptops are alike. They are different and I’m wondering if the cheaper one will satisfy my needs. That way I won’t need to break the bank and hopefully get the same performance. I like to save my money if I can. Only I will choose the 15-inch model if extra performance will justify the extra dollars spent. I want to mention that I’m just looking for a laptop to use at home and on the go for day to day operations. At work I still use a desktop computer and don’t need the laptop there. I really like how both laptops look and feel. They are identical except for the size. Aluminum lids are gorgeous but they look like they may scratch easily though. I will be stressed every time placing something on top of the laptop. The carbon fiber finish on the palmrest not only looks great but also feels very nice. It’s hard to imagine a better feeling material to my hands. Unless I think about the new Lenovo Yoga 13 that has leather like finished palmrest that also feels very good. Both displays are beautiful and you get the full impression once the laptops are on. The screens are almost edge to edge with a very thin black frame around them. This way Dell saved a lot on the overall sizes of Dell XPS line of laptops. 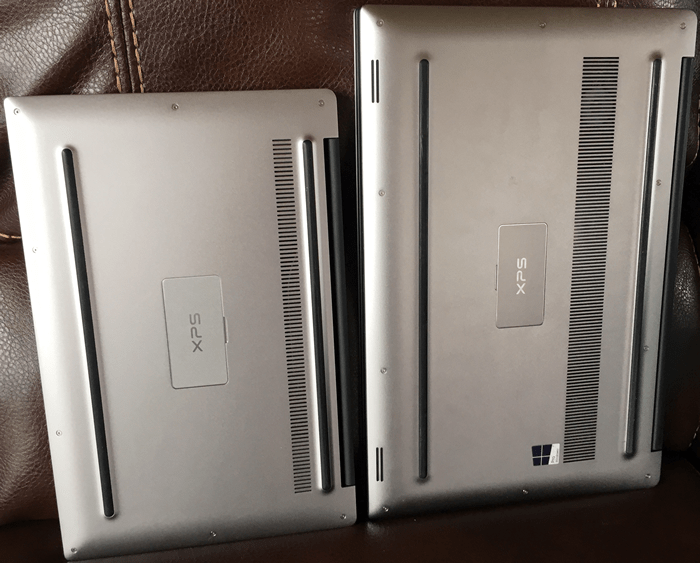 The Yoga 13 seems to be a 14-inch laptop fitting in between the two. Yet it’s just another 13-inch laptop. Smaller size is a great feature of both Dells. Both displays are touch and work great. One thing I don’t like is how glossy they are. They reflect anything so you need to find the perfect spot and angle to feel comfortable. Another thing I notice is how brighter the screen is on the 15-inch Dell compared to its small version. Keyboards feel alike on both Dells. It’s firm and sensitive at the same time. I don’t notice much difference typing on either one. The bigger one is very ergonomic but the smaller is still big and comfortable enough. Both keyboards are backlit identically. The light works better than on most keyboards that I have used. It lights up as soon as you touch a key and fades away soon after you stop typing. Now back to technical specs. You will quickly notice the difference between Quad Core i7 and Dual Core i5. Double cores means faster performance. Put it in a mix with 16GB RAM vs 8GB and the conclusion is clear. 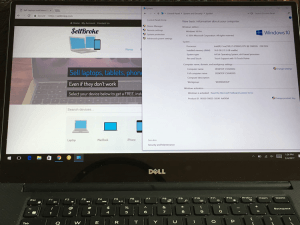 Dell XPS 15 9550 is faster than XPS 13 9335 form the very start. 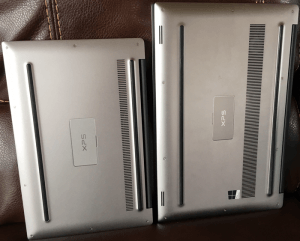 It took about 30 seconds for the 15-inch model to power on and load up to Windows . 13-inch one needed another 20 seconds to be ready for use. Going further you will see that any operation takes the small guy a little longer. It’s not bad unless you do the same thing on both laptops simultaneously and notice the difference every time. 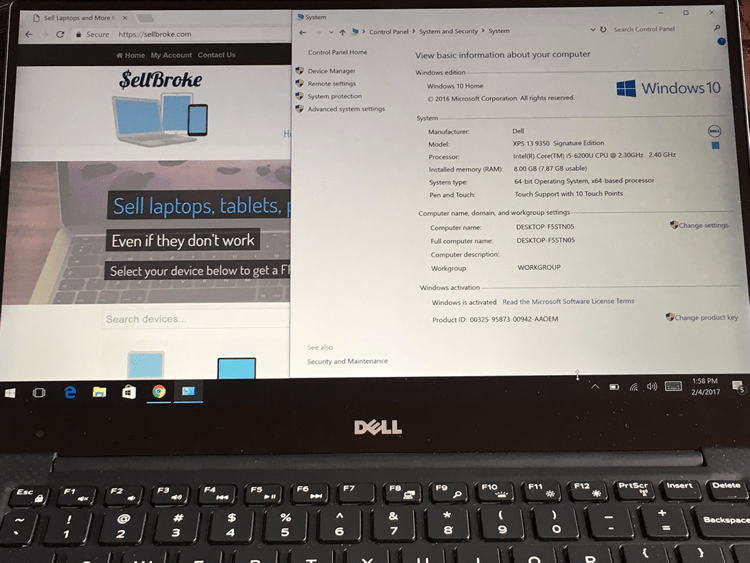 Both Dell laptops have 2 USB ports and one USB Type C, SD Card slot, audio jack and battery indicator. Well only the 15-inch model has an HDMI port. That’s the port I use the most. I need to be able to plug in my big TV when I stream movies on my laptop. The battery seems to be draining faster on the bigger Dell but I have set both displays to the brightest settings. And like I mentioned the 15-inch one is brighter. That has to be using more power. But I like to be able to have it this bright. I’m now getting attached to both laptops and want to keep one and the other. But I can afford only one plus what’s the reason for having both if I can use only one at a time. I don’t like how heavy the bigger Dell is. It’s hard to hold it with one hand opposed to the XPS 13 which feels ultra light. I do like the speed of XPS 15 and the HDMI port. Other than that both laptops are the same. I will have to sleep on it before I can choose the one I will buy. 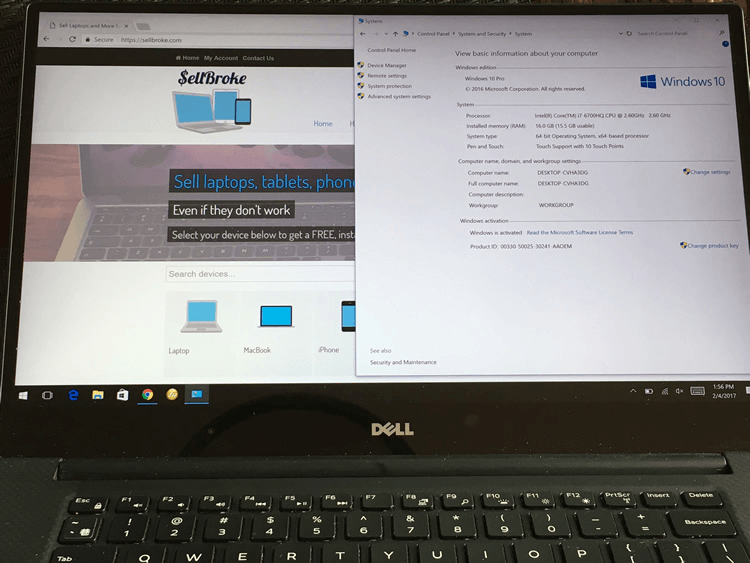 Sell your Dell laptops quick and easy. Whether your electronics are good or broken Sell Broke will pay you most cash. 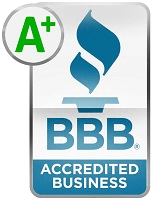 Also the process of selling your laptops online is extremely fast and convenient.